I use it to keep email addresses and passwords in it. It has enough space to write everything. Needs more pages. This is the easiest format. All of my husband and I have combined our passwords and important info,so we can both access any of our bills, addresses, or phone numbers. This has definitely taken out the guessing game. I love it. I love large print The book helps me a lot. 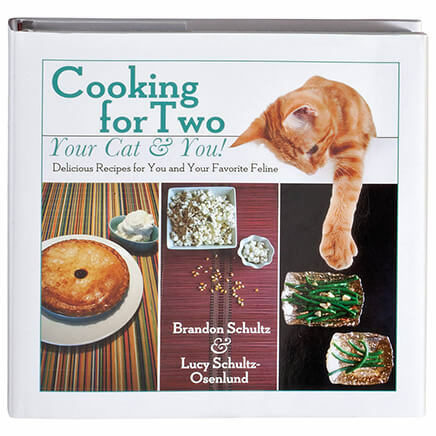 I am going to re order this book for my job. Great product for the price .... I really like it!!!!! I love being able to open this and getting my passwords for Web sites. Remembering all the passwords had always been a problem. I keep passwords in it. Great way to keep up with passwords & more. I USE MINE FOR ADDRESS AS WELL AS EMAIL & PASSWORDS ALSO PLENTY OF ROOM TO ADD PHONE NUMBERS AS WELL. ORDER TWO...YOU'LL WANT ONE FOR YOUR POCKETBOOK OR AS A GIFT FOR A FRIEND. I write down all password and other things in it.It's a great to have. I use this to keep track of my passwords. I really like my past word book. I hope they come up with a bigger one in the future. I keep it in my purse so no one can see it but me. I use it for all my e-mailing. Spaces are extra big and anyone with visual problems it is wonderful. Nothing negative and wonderful to use. I have lots of passwords so this is great to keep them in. Like the size and fact that you can list all a persons information in one place. Carrying a wallet weighs my purse down and pulls on my shoulder which causes my sciatic nerve to act up. This enables me to still manage my money in one place and weighs practically nothing. Not sure if I'd need to buy another one. 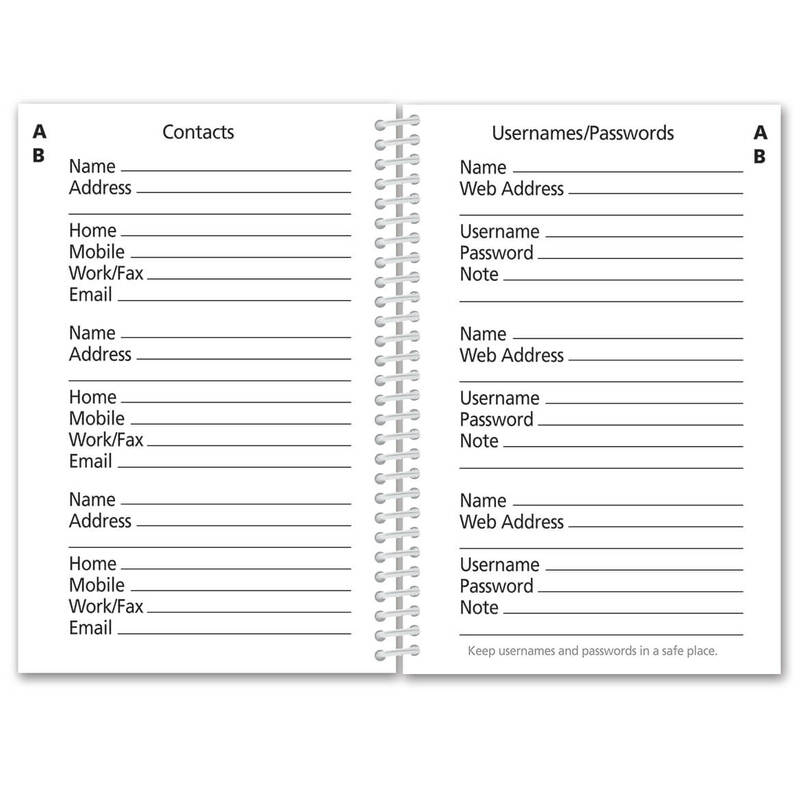 My old address book was falling apart and my passwords have been changed so many times that I was running out of room for the new ones. Very handy. Very useful and the large print makes it easy to read. 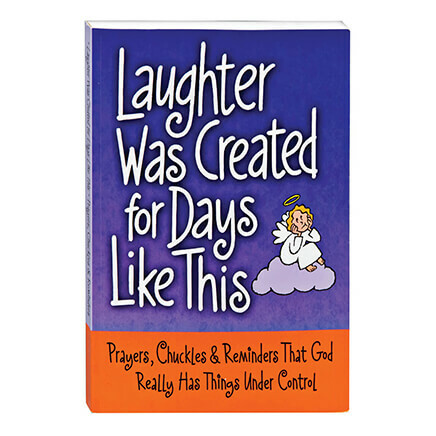 I searched in stores and online for the perfect address book and was happy to find this one. I used it for my address and password for they can be in 1 place. 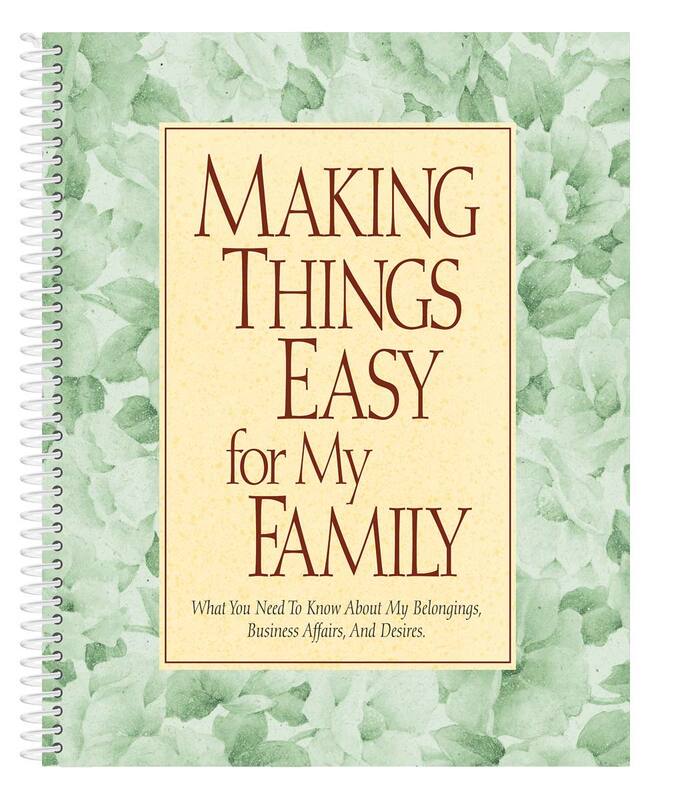 This book is easy to read and easy to use. Great way to keep passwords. the print is large as stated and I am able to read it, that's a good thing. 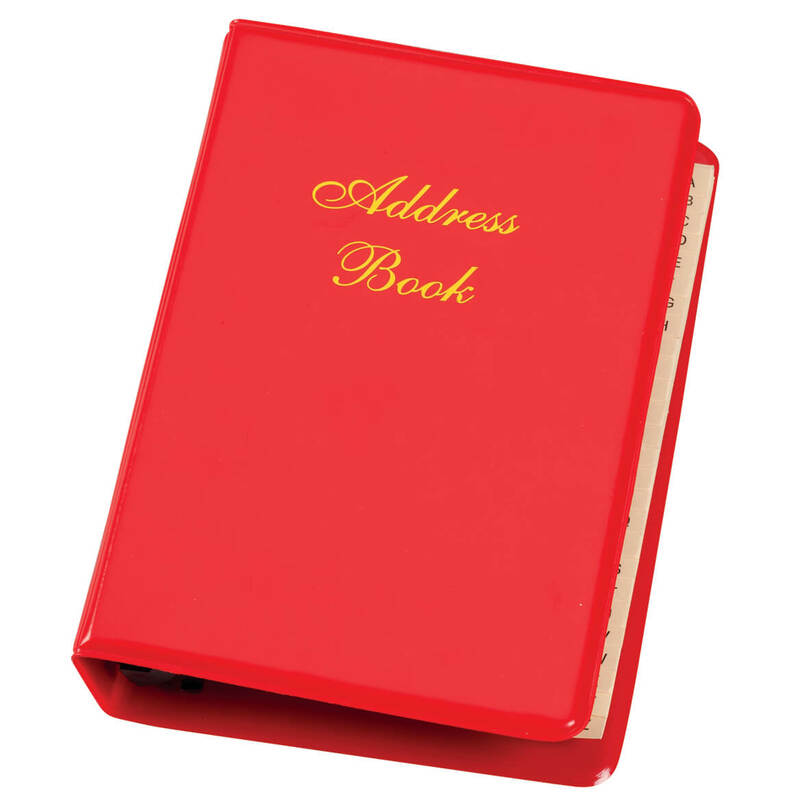 but as always with address books there never seems to be enough space to put all the info that I would like to have for my friends and family. But it's better than what I have now. Since I have tremors, it is essential that I have a large space between lines. So far so good. I got this for me but I wish that it was a little wider for long names etc. I'm still glad I got it anyway . My current method uses a day planner. I have the websites and passwords mingled throughout mixed with appointments. One place just for passwords sounds like a better choice. I would buy this book for anyone who has eye problems! I really like the large size. It is easy to find on my desk. With eye problems this book is very, very easy to read my email address. I bought the old one from you which had the a,b,c tabs. This one, for some reason, does not. I got this one to give somebody, but if I got it for me, I would have returned it! Nice book but I wish it had a better looking cover. This is a spiral bound booklet and is extremely flimsy. It has large spaces for entries and has all the necessary room for writing in it. Easy to keep up with. I am trying to get organized this year!!! Works well for what I use it for, and I like to be able to have my passwords alphabetic and faster to find. I have one and my husband saw it and wanted one too. how do i sign out, my information is showing. We use a rolodex but the pages started to fall out so decided to give this a try. To have them in one place. Large print anything, will help me see better! Who can remember all those passwords?!!! 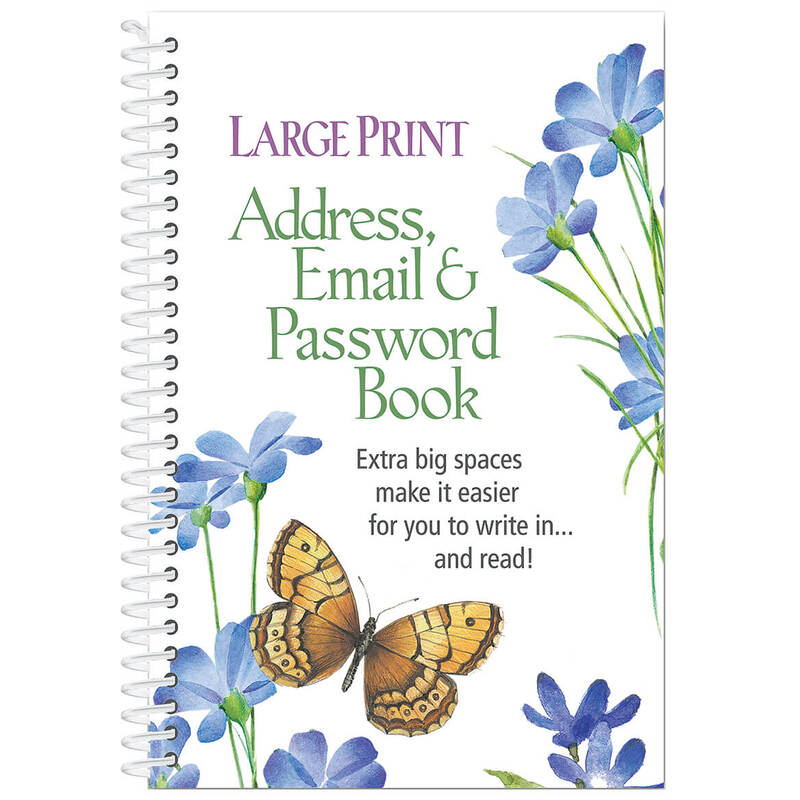 I needed a large print address book.This is just what I was looking for. Love that is large print! have one that is getting old. I wanted one place to keep addresses in. I think this is a great product love I need one more. I needed it for the large writing spaces . it is a great asset for me . Because I write down on a piece of paper of my passwords then lose that paper. My old book is a mess; I want a new one, and I can't find any real address books around here - everybody presumes it's all electronic. Eyesight needs big printed items and this was perfect. The large print is great! Makes it so much better to see. Have to change passwords quite often and it really gets hard trying to remember them all. I wanted this to organize all my stuff for making it easy to find when I need it. BEST ANSWER: Thank you for your question. The book is for addresses, emails and passwords. It is for multiple purpose book. We hope this information will be of help to you. BEST ANSWER: Thank you for your question. It measures 7 1/4"L x 5"W. We hope this information will be of help to you. l'love look for book some where else NOT everyone need large print? BEST ANSWER: Thank you for your question. 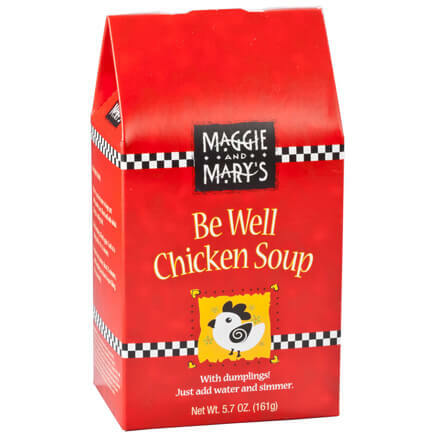 This is the only item of this kind we offer at this time. We hope this information will be of help to you. How many pages are in this book? Can it be refilled?